I've spent a good portion of the day toodling through Etsy, because even though our wedding anniversary was back on the 8th of June, I have yet to bring a present to the Palinode as a token of my great affection. He is notoriously difficult to shop for (and by "notorious", you are given to understand that I struggle with gift shopping and general hate to do it), but I managed to find not one but TWO presents for him. If I could, I would show you what they are, but I don't want to blow his surprise (and by "surprise", you are given to understand it literally and not as a euphemism for any carnal, marriage-sanctioned activities). Of course, I ended up getting stuck browsing through pages and pages of other handmade items, because Etsy is so full of the awesome. I sort of wish I could carve out a little niche job for myself as a professional Etsy shopper. There's something kind of romperish and playful about the "dress like girls" dress. I've inquired about its ability to fit my somewhat ample bosom, but I'm not entirely convinced that I need it yet. 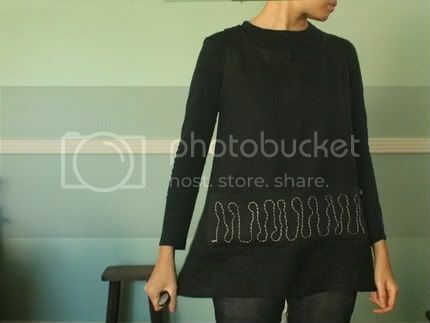 I would love this nostalgia babydoll tunic, but I worry about how it might look around my broad shoulders. Part of me wants to say screw it, but another part of me is somewhat irrationally afraid of looking like a linebacker. 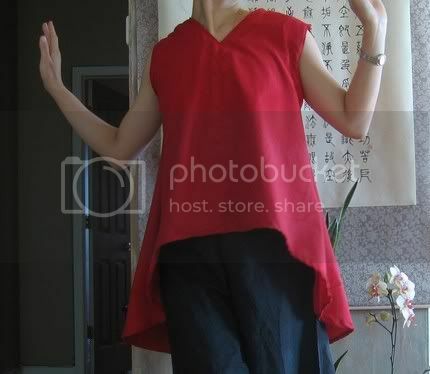 I want this wavy chinese simplicity sleeveless top in all five colours. It is light, simple, and promises to obscure any threatening muffin tops. It could become the Schmutzie uniform of choice. 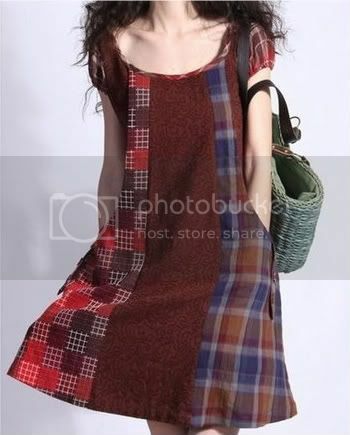 I want this linen pinafore in the worst way, but my bank account suffereth. 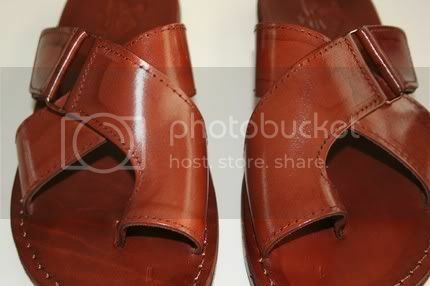 One thing I did buy for myself today are the tiger leather sandals pictured below. They are exactly what I have been looking for. I had no idea that I would have to search as far as Tel-Aviv to find them, though. 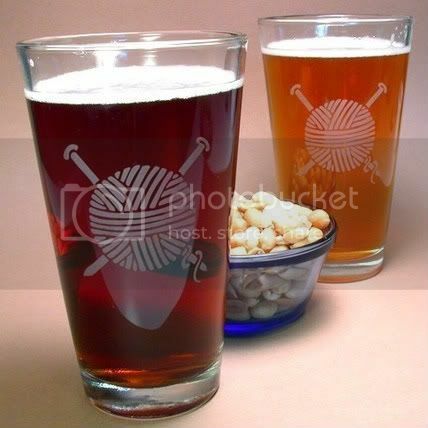 Last but not least, aren't these just the keenest knitters' pint glasses you've ever seen? Tunics and sandals and pint glasses! Oh, my!